Representative Jerrold Nadler slammed President Donald Trump’s recent criticism of Representative Ilhan Omar over comments she made regarding the September 11, 2001 terrorist attacks, arguing that the president’s own past actions leave him with “no moral authority” to criticize anyone’s response to the tragedy. Appearing on CNN’s State of the Union with host Jake Tapper on Sunday, Nadler discussed Trump’s recent attacks on Democratic Congresswoman Ilahn Omar over a comment she had made that seemed to minimize the events of September 11. Nadler told Tapper he believed Omar’s comments had been mischaracterized and should not have been controversial. The Democrat from New York City then lit into the president for going after Omar on this issue, claiming that Trump “stole $150,000” in relief funds allocated by Congress for small business owners affected by the 2001 disaster. The comment was in reference to 40 Wall Street, a Trump-owned building located several blocks east of the World Trade Center site. According to Nadler, Trump was able to obtain relief funds that were meant to help small business operators in Lower Manhattan get back on their feet. 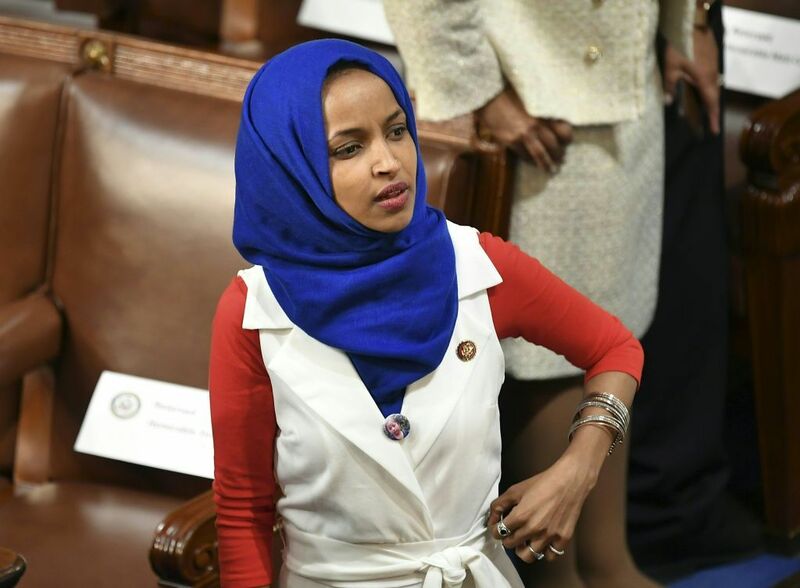 Omar, who represents Minnesota and is one of two Muslim women currently serving in Congress, spoke at a Council on American-Islamic Relations (CAIR) event last month in California. The Democratic congresswoman was highlighting how Muslims have largely been viewed with collective suspicion and often blamed ever since the 9/11 attacks. She said “some people did something,” referring to the terrorists, which critics argued was dismissive of the violent actions taken by the hijackers. Trump on Friday pinned a tweet to his profile with the caption : “WE WILL NEVER FORGET.” The post included a 43-second video juxtaposing Omar’s comments with footage of the aftermath of the 9/11 attacks. While other right-wing politicians and pundits joined Trump in blasting Omar, her progressive colleagues, such as Representative Alexandria Ocasio-Cortezas and Senator Bernie Sanders, came to her defense. Some have pointed out that Omar is also a cosponsor of legislation to give compensation to 9/11 victims, whereas some of her Republican critics have not supported the bill. As for Trump, in the immediate aftermath of the attacks, he called in to a local news channel and pointed out that following the collapse of the World Trade Center, his building at 40 Wall Street — which, for a matter of weeks in 1930, laid claim to being the tallest building in the world — had once again become the tallest structure in downtown Manhattan. “40 Wall street actually was the second-tallest building in downtown Manhattan, and it was actually before the World Trade Center the tallest, and – and then when they built the World Trade Center it became known as the second-tallest, and now it’s the tallest,” he said at the time.